A Car mechanic is simply someone who repairs and fixes small and big issues with an automobile. In today’s world they are highly sought after and thus they need no introduction. There are a large number of people owning cars, which require regular maintenance. Every time the body parts get damaged they need to be fixed. Everyone knows what an auto mechanic does. They fix your car for a fee. 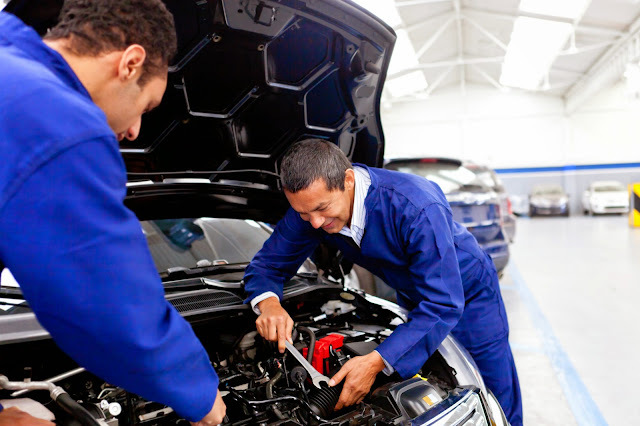 A particular auto mechanic may be skilled in different degrees, but they are capable of fixing problems in cars due to their experience. A certified mechanic can definitely deal with major problems in your car. An unfortified mechanic learns from a master technician at the garage. Once you own a car, you would need a mechanic at many stages. The auto mechanic needs to have skills not only regarding the repair works but also about finding out the actual problem of the car. The mechanic should be capable of figuring out what the exact problem is and how much expense would it take for the car to be repaired. The basic knowledge of the car parts is very important. Compared to the old cars, today’s automobiles are much more advanced as they have automatic gear systems, new types of brake boxes and many more advanced technical parts. Therefore, the mechanic should be updated about the new technologies. Why should you know the basics of fixing your car? In today’s world, most people have their own vehicles. These vehicles are meant to be maintained on a regular basis. These people may own vehicles such as cars, motorcycles and trucks. It always helps to know the basics of how to fix a vehicle as that will save the time and cost of calling a mechanic. In fact, learning to fix the minor problems of your car will save you a large quantity of money in your lifetime. These are a few of the essential parts of the body of a car. You should also keep a box of tools handy so that you can perform the small repair works of an auto mechanic yourself. Although different vehicles have different mechanisms there are some same underlying principles. These fundamental points must be learned by car mechanics, diesel mechanics and motorcycle mechanics alike. With some basic training you should be able to fix the gearbox or use lubricants and re-connect the electrical wiring in your car yourself. Always use tools of good quality when you are working on your vehicle. You should also make it a point to adhere to proper measures of safety while working on your car. Again, pay complete attention to the task at hand while repairing your car yourself. Always remember that while it is good to try and fix minor problems in your car yourself, for bigger issues it is better to call in an expert Car mechanic. You should always rely on the experience of a professional in major issues. If you try your hand at fixing a big problem related to the engine, you might unnecessarily end up causing serious damage to your own vehicle. In order to avoid that, always trust expert hands in case of complicated problems.